Are you ready to make your energy efficiency purchase? EnergySage’s Energy Efficiency Buyers Guide will help you make energy efficiency decisions for your home and find the right energy efficiency company. Energy Efficiency First or Solar First? 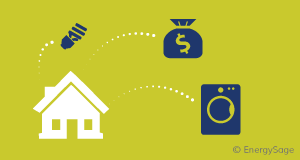 FAQ: Are energy efficient appliances worth the investment? The electricity bill savings you’ll see by installing energy efficient appliances depends on the efficiency of your current appliances. ENERGY STAR-rated appliances use anywhere from 10 to 50 percent less electricity than conventional appliances, which translates to hundreds of dollars in savings for most homeowners.